Measurements: The stones measure about 8.5mm. With loop these are about 12mm long. Characteristics: the top has an etched design. The setting backs are closed. 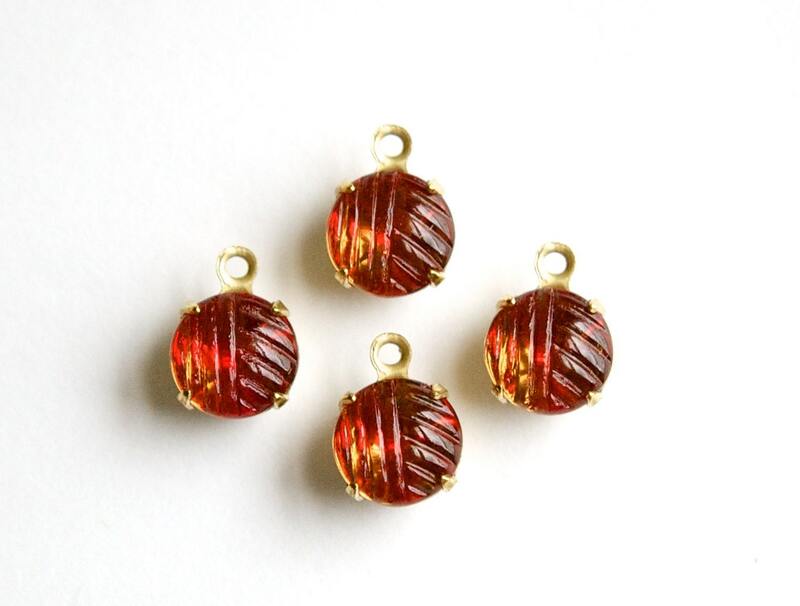 Color: These are a blend of a cranberry red and topaz like color. Very niceretro drops...love this seller.